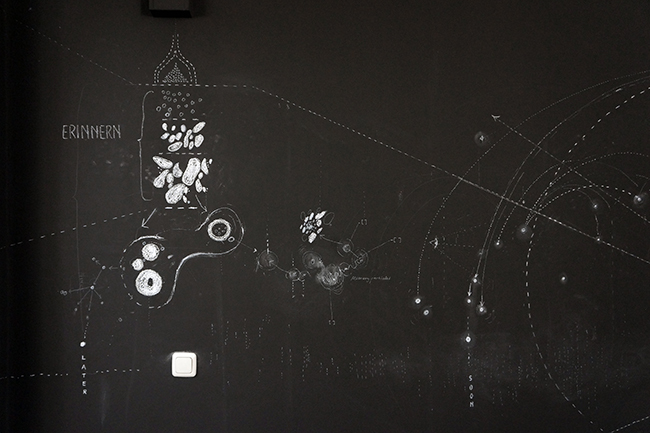 a diagram showing internal correlations and their external consequences marked out by key figures of thought balancing between reflecting and representing symbols of power affected by the structures of human experience and the various forms of interpretation. 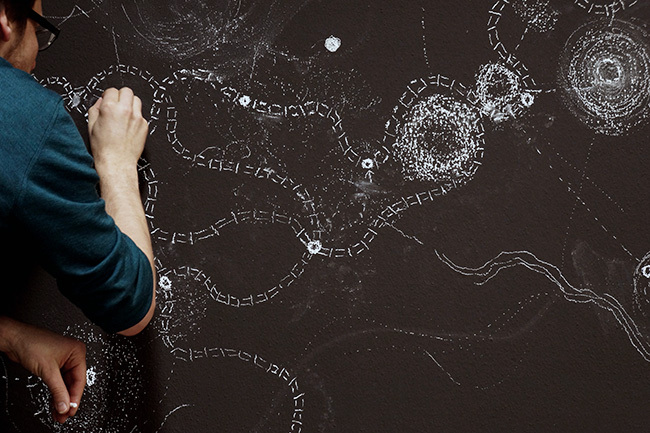 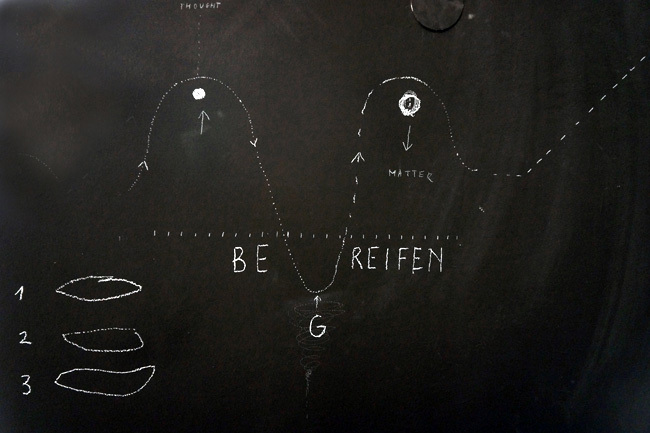 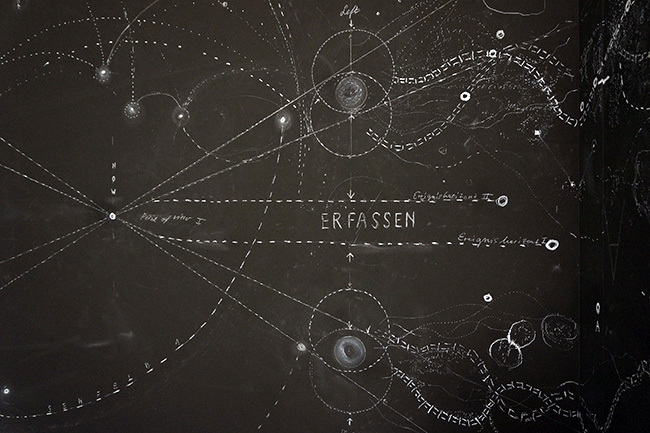 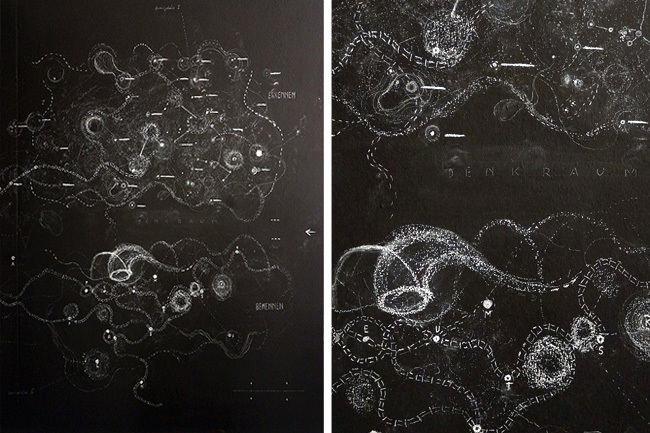 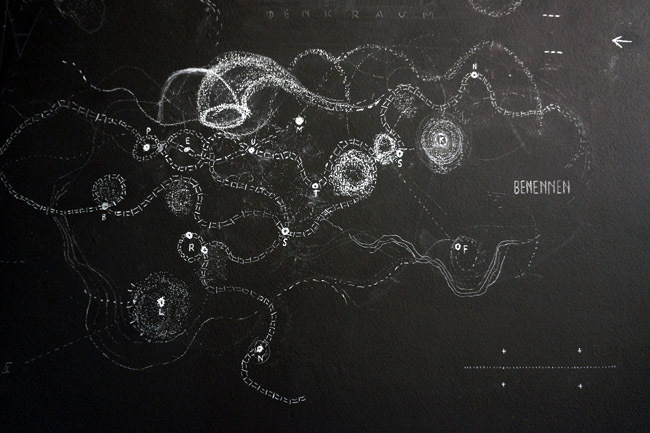 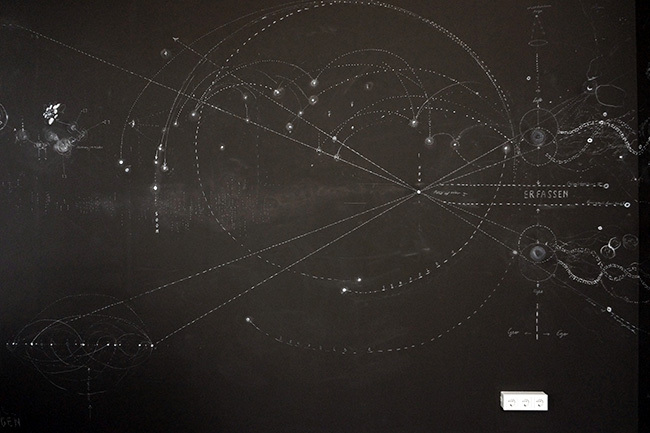 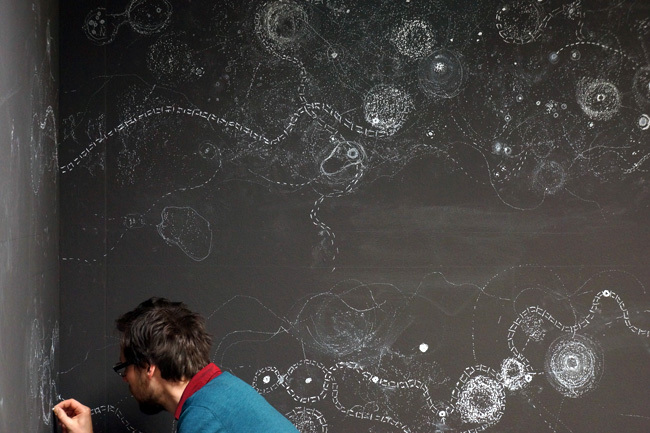 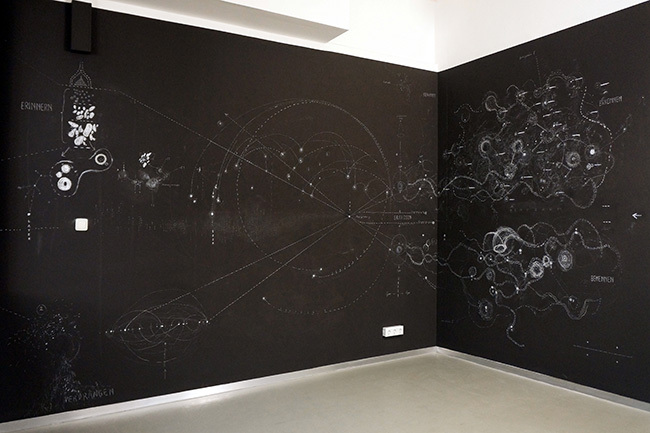 Nikolaus Gansterer: The Gray Matter Hypothesis during the process of setting up at enter – Raum für Kunst on Vimeo. 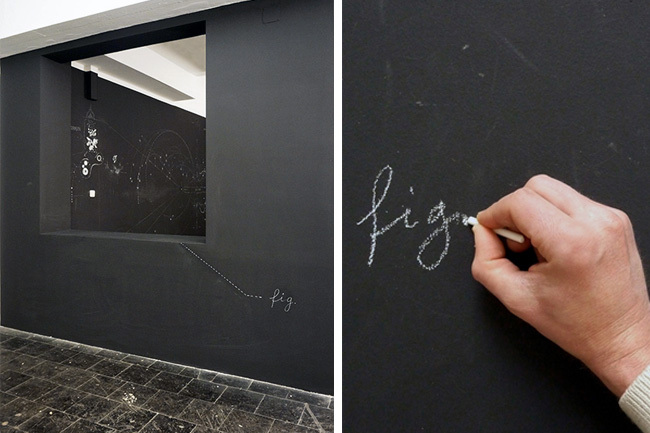 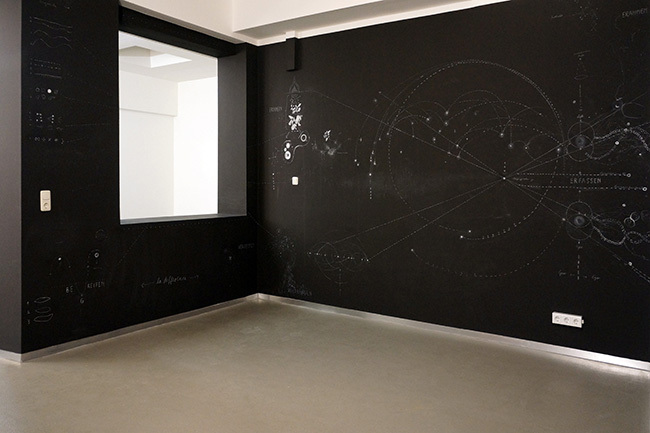 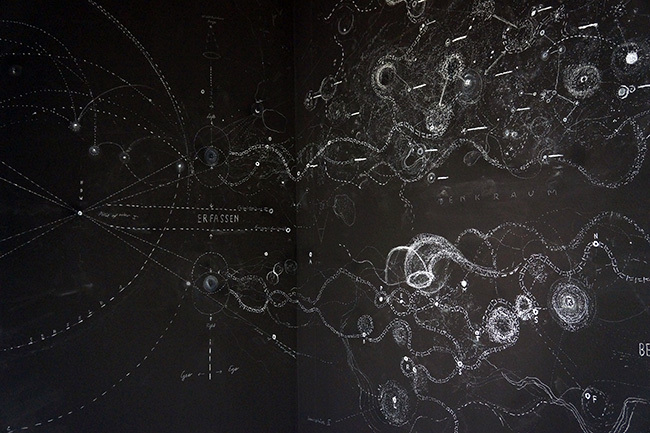 Wall drawing and spatial intervention at »enter: Raum für Kunst«, KunstQuartier, Salzburg, Austria.